Tel Aviv: Israeli Prime Minister Benjamin Netanyahu secured a clear path to reelection on Wednesday, with religious-right wing parties set to hand him a parliamentary majority despite a close contest against his main centrist challenger, a vote tally showed. With more than 97 per cent of votes counted, Netanyahu’s conservative Likud party looked likely to muster enough support to control 65 of the Knesset’s 120 seats and be named to head the next coalition government — a record fifth term as premier. If he remains in power, Netanyahu will be in a much stronger position to fight the charges and draw out the legal process, analysts say. If he forms a new government and survives until July, he will make history, becoming the country’s longest-serving prime minister, outstripping Israel’s founding father David Ben-Gurion. 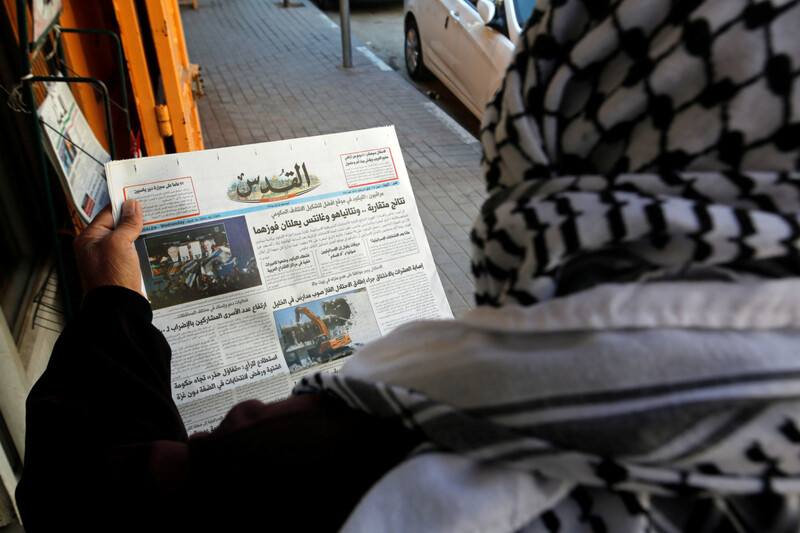 Israel’s occupation of Palestine has been notably absent from the discourse. Talk of a Palestinian state, the international community’s preferred solution for the past two decades, was non-existent in the lead-up to the polls. It is a far cry from past elections, when “peace” with the Palestinians was the central issue for voters. This is a testament to Netanyahu’s success in sidelining the issue. Also, internally, he pulled out all the stops in a campaign that attempted to strike fear into the hearts of right-wing voters that a “leftist” government may prevail, one that could team up with Arab politicians in Israel. He forged a deal to ensure right-wing votes were not lost by pressuring small right-wing parties to join with the extreme right-wing Jewish Power party, toxic for even those at the far-right of Israeli politics. That appeared to have paved their way to the Knesset, with the new alliance winning five seats, according to the partial results. To woo more right-wing votes to his own party, he made a last-minute promise to legalise colonies in the West Bank. The party of right-wing Education Minister Naftali Bennett looked like it may not reach the minimum 3.25 per cent of the vote needed to enter the Knesset, though military votes had not been fully counted. The partial results point to the possibility of a more extreme right-wing and religious government than ever before, with ultra-Orthodox parties coming in with around 16 seats. That is unless Netanyahu decided to reach out to Blue and White — or parts of it — to form a unity government. Gantz has publicly ruled out sitting in a government with Netanyahu. Overall voter turnout stood at 67.9 per cent, dipping from 72.33 per cent in 2015, amid reports of low voter turnout among Palestinians of 1948 areas. Making up 20 per cent of the population, these voters had been frustrated by a split in the main Arab factions, while Israel’s controversial Nation State law bolstered calls for a boycott. However, one Arab faction, Balad-Ram looked set to scrape through to the Knesset. 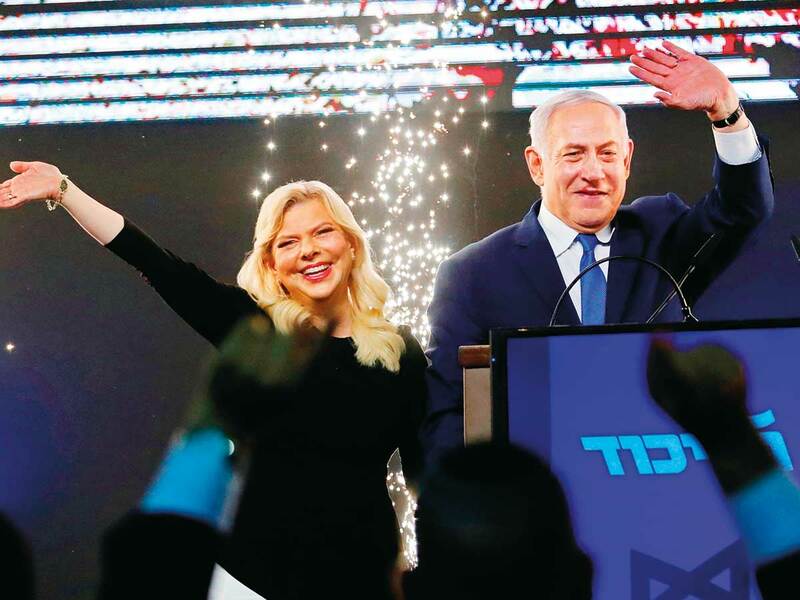 Despite the legal challenges he faces and the controversies he has courted, Netanyahu has a die-hard base that will vote for him unquestioningly. Michaela Ben Lulu, a life-time Likud supporter, called Netanyahu a magician and said she admired his diplomacy, especially his relationship with United States President Donald Trump. No single outside actor seemed to put their thumb on the scales of the Israeli election as much as the American president. For the past two years, he vociferously backed Netanyahu on social media and doled out political gifts to the prime minister: From his decision to formally recognise occupied Jerusalem as Israel’s capital to his recent recognition of Israeli sovereignty of the occupied Syria Golan Heights. Over the past decade, Netanyahu loudly banged the drum, warning of Iranian aggression. His activism on this front saw him spar with the administration of former US president Barack Obama, but it won the enduring affection of Trump. And the Israeli leader has courted other leaders: In the run-up to Tuesday’s vote, Netanyahu won the thinly-veiled endorsement of Brazilian President Jair Bolsonaro. Last week, he went to Moscow for a ceremony where the Russians handed over the remains recovered in Syria of an Israeli occupation soldier who had been missing for 37 years. The move was seen as a pre-election boost deliberately laid out by Russian President Vladimir Putin.